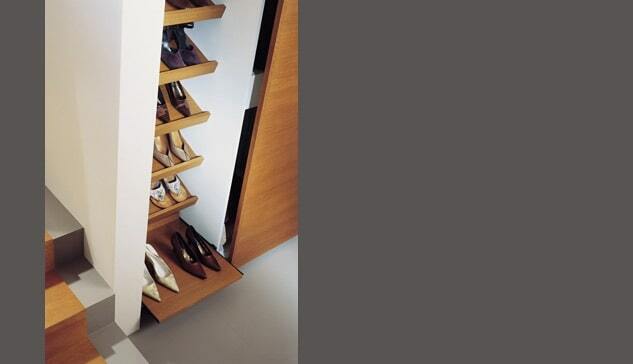 Few luxury homes are fully complete without a modern closet system designed for greater functionality and organizational convenience. 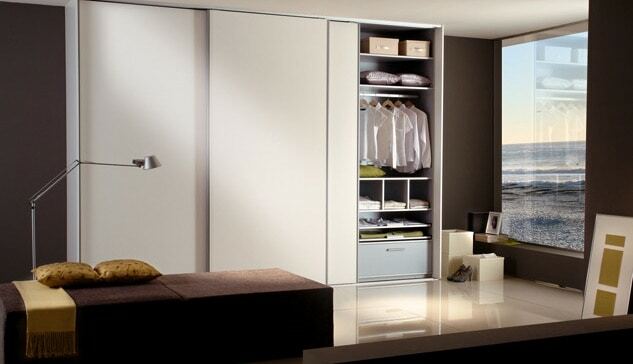 Foscari Interiors helps you locate the perfect custom closet system that will tie your entire room together perfectly. 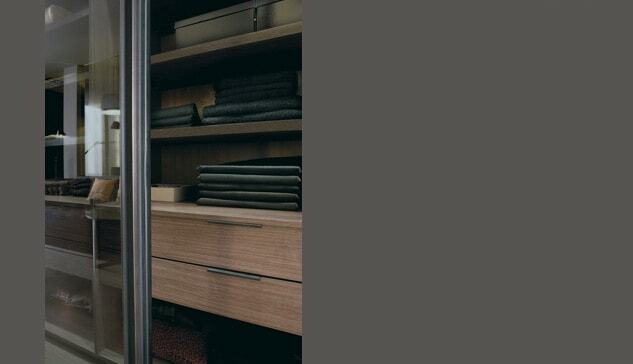 A custom Houston closet system adds value to a home and provides for a more organized lifestyle. 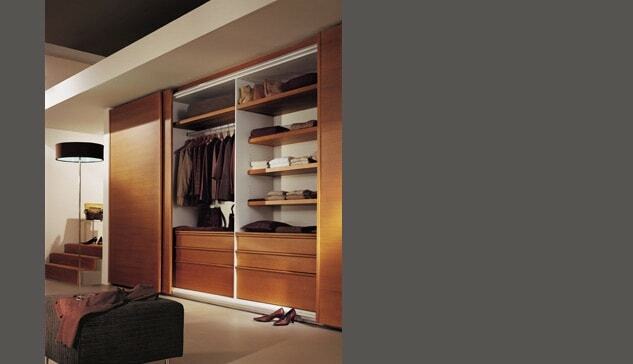 Large walk-in closets are particularly well suited for this type of system. 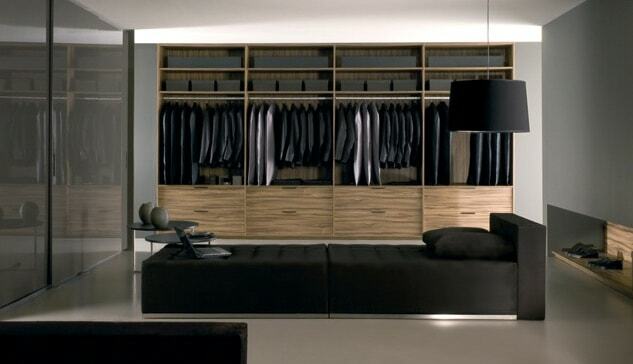 With a custom closet system installation, there is a place for everything and in turn everything has its place. 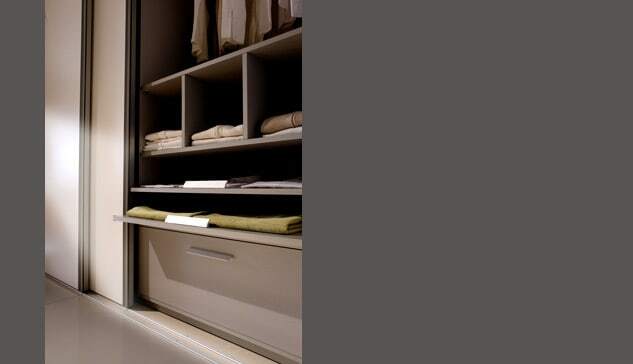 Foscari Interiors works closely with clients to ensure that the perfect system for your closet is selected and installed. 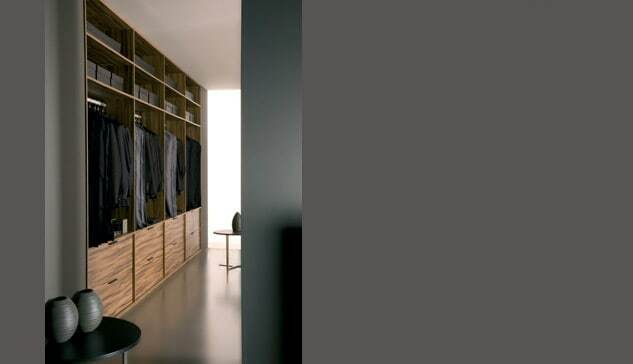 We partner with several manufacturers of smartly-engineered closet systems enabling us to offer a full range of sizes, shapes and styles intended to dress up your home in a way that would otherwise not be possible. 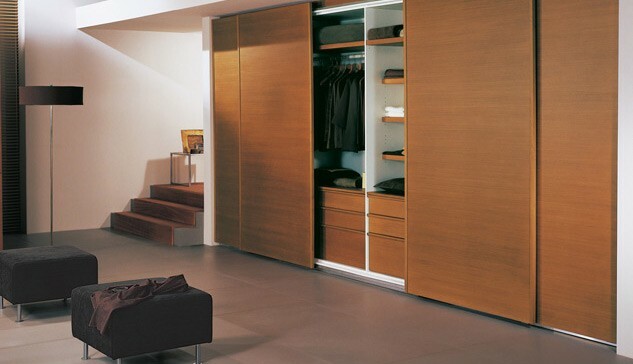 Foscari Interiors will guide you through the complexities of properly planning, designing and installing a modern closet system in Houston in order to achieve excellent organizational functionality. Contact Foscari to learn more! 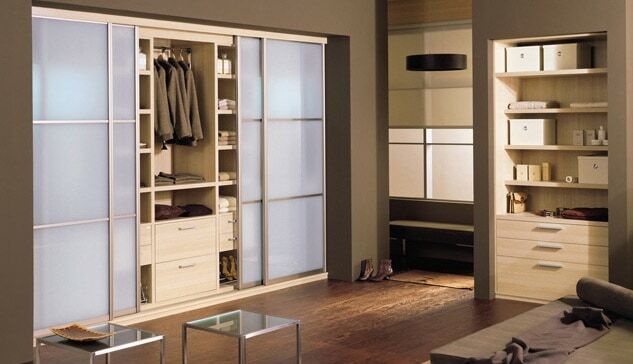 The gliding door system has an assembly mechanism independent of environment, it is installed over the furniture’s own structure. 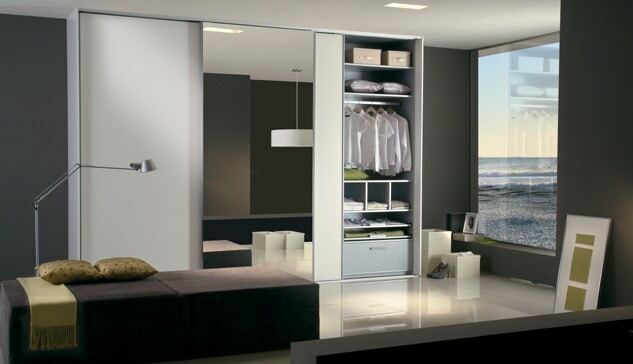 With a variety of colors and fittings. 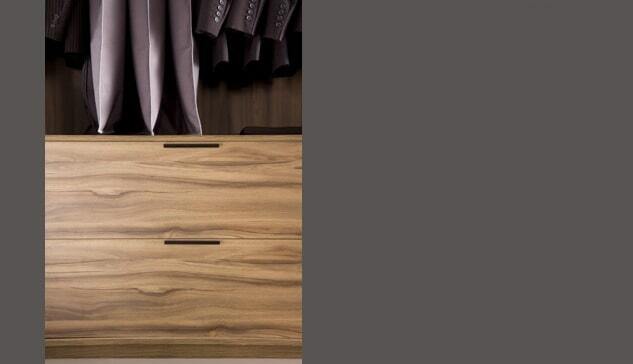 Made from large American oak panels with vein placed horizontally, without fittings and a great variety of stains. 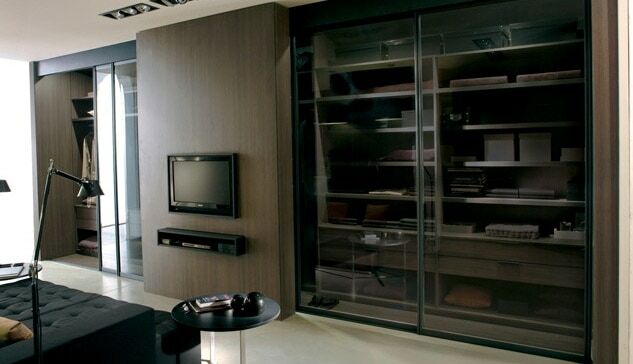 A sober ambiance and a high level of design, wood veneer. 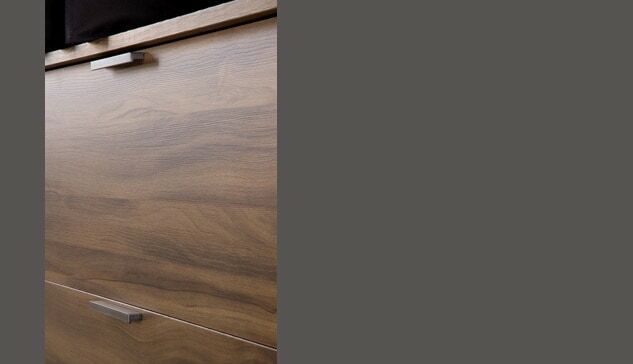 Wood veneered gliding doors in a wide range of melamine colors and a continuous aluminium vertical handle. 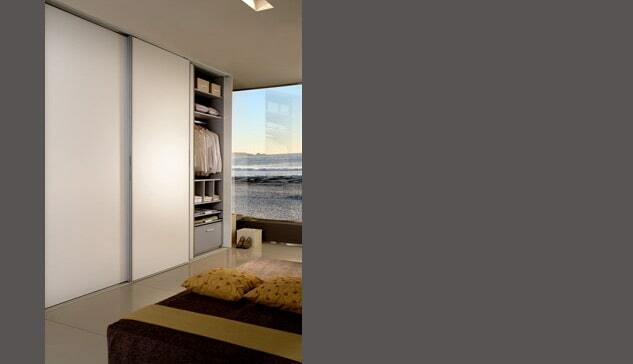 They have a straightening system for doors. 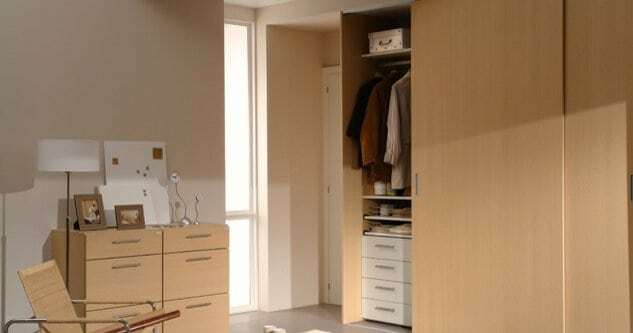 It is a new placard door model with lacquered finishing and pure lines design. 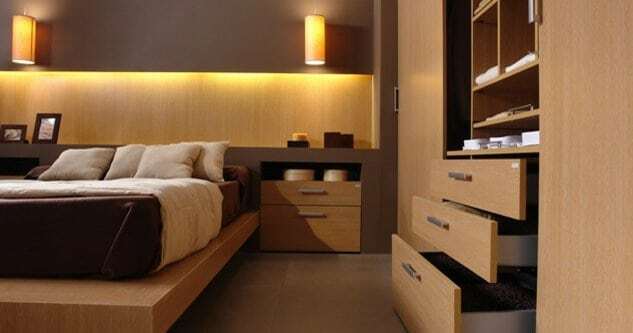 Colors and their shines highlight its importance in bedroom and dressing room environments, generating an always close relationship between modular systems and interior architecture. Gloss proposes a global stylistic vision, strongly united, for domestic environments in which project quality is translated into quality of life. Generous dimensions for a simple geometry along with its thickness and inlay fittings are the design features of this model. 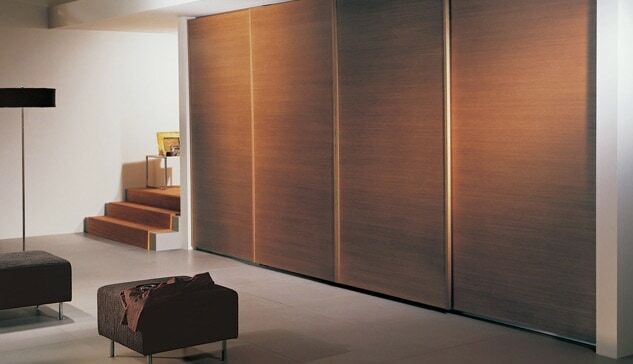 Available for sliding doors gliding systems.The muffle systems, the doors soft glide and the materiality of the lacquered finishing of this model make this model stand up as a high quality product. 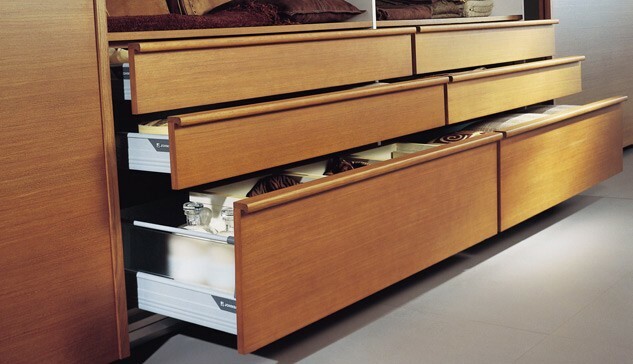 Exclusive design of sliding system. 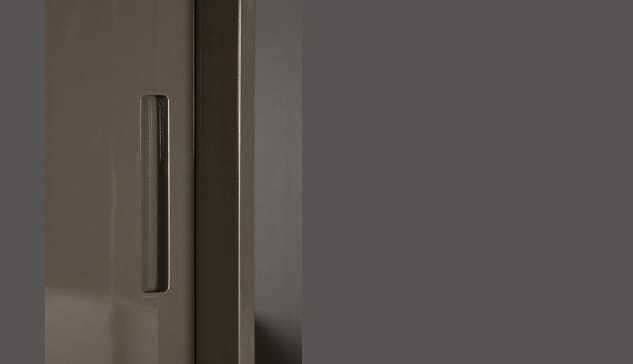 Enables reaching great dimensions and adds to the features offered by the Alterna model, the detail of three and two panels divisions and the possibility of combining materials. Obtaining a sophisticated and modern image. 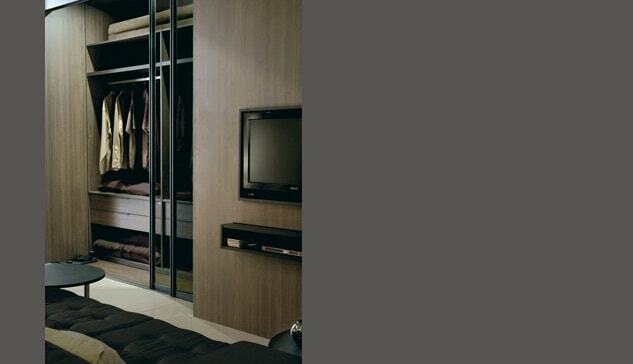 Sliding system with aluminum frames and exclusive design. 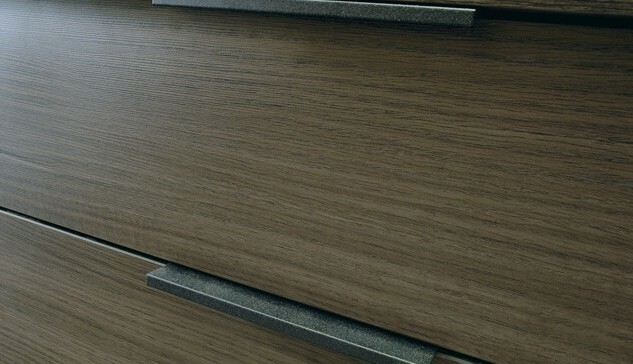 The variety of materials such as melamine, mirrors with security film and security glass add onto the diversity of frame finishes to give a response to the most varied demands of design. 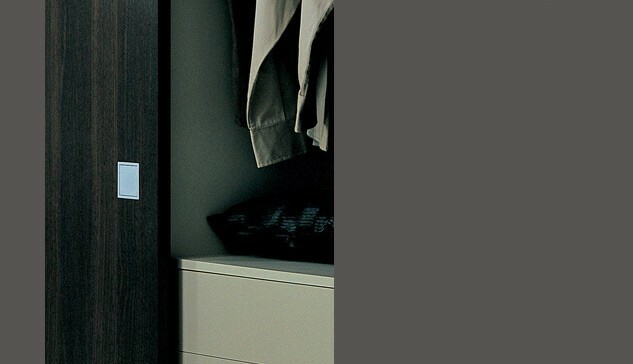 Modern design and outstanding presence.Aluminum vertical profiles with gray color coating that provide an image of solidness since they supply thickness to the door as they function as handle. 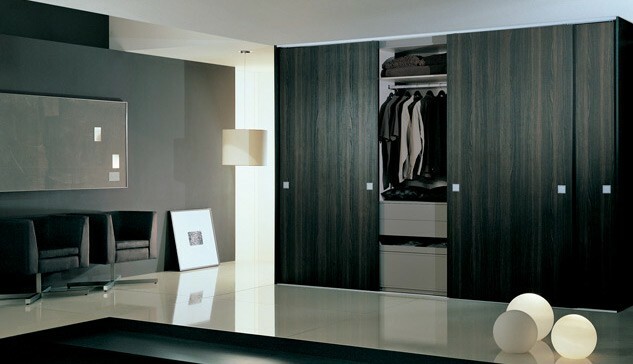 Available with melamine surfaces and mirror. 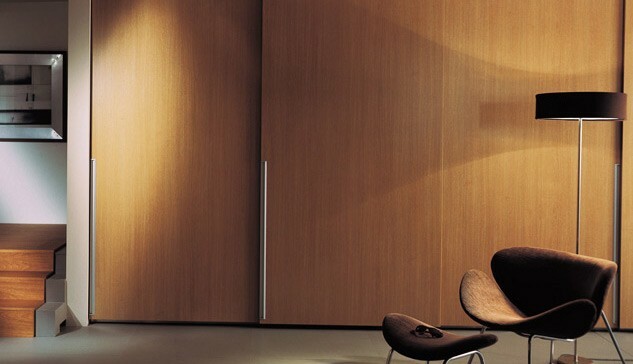 Characterized by its laminated surfaces, Aspen presents expressiveness and visual effects in two types of designs for placard doors: Natural Wood and Cotelé. 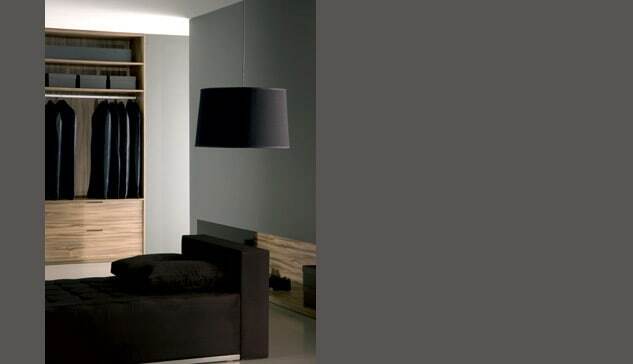 The first one composed of ecological and synthetic sheets, with an innovated process to reproduce streaks and nature characteristics in appearance and color. 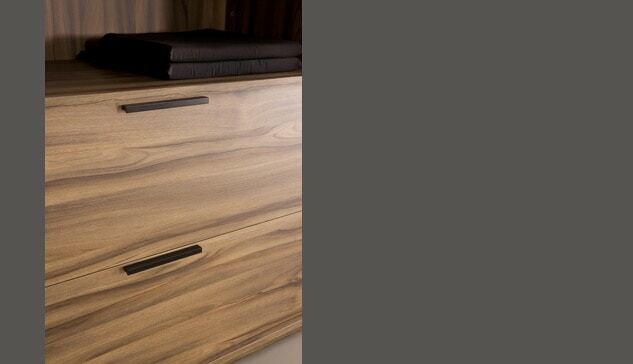 In Cotelé the vertical lines stamp a soft texture to solid colors. 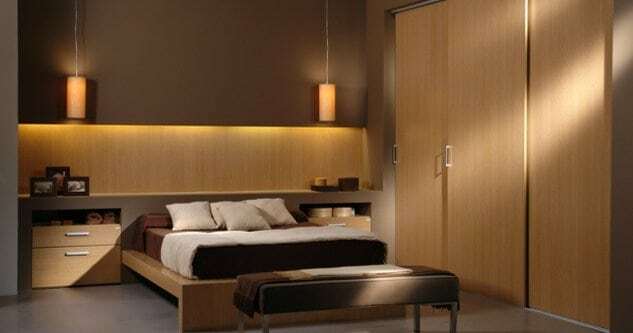 Built with light and thick panels, Aspen proposes a dialog with the rest of the materials in dressing rooms or bedrooms, in a natural way, and without contrasts.